2. Extra Battery - Since most batteries last less than 5 hours you will need an extra battery or two. You should also check out bringing along an external battery for your laptop. 3. Port Replicator - This is one essential you should consider buying for your laptop or notebook computer. 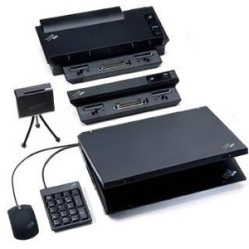 It's a real hassle dealing with all those wires and connections on your laptop - that's where your port replicator or docking station solves your problem. Plug all your peripherals into the docking station or port replicator - connect and disconnect your laptop with ease without having to deal with all those wires and connections. A must have! 10. Insurance! - If you do a lot of traveling, you may want to invest in some laptop insurance. Laptop theft is still a big problem and it's better to be safe than sorry.